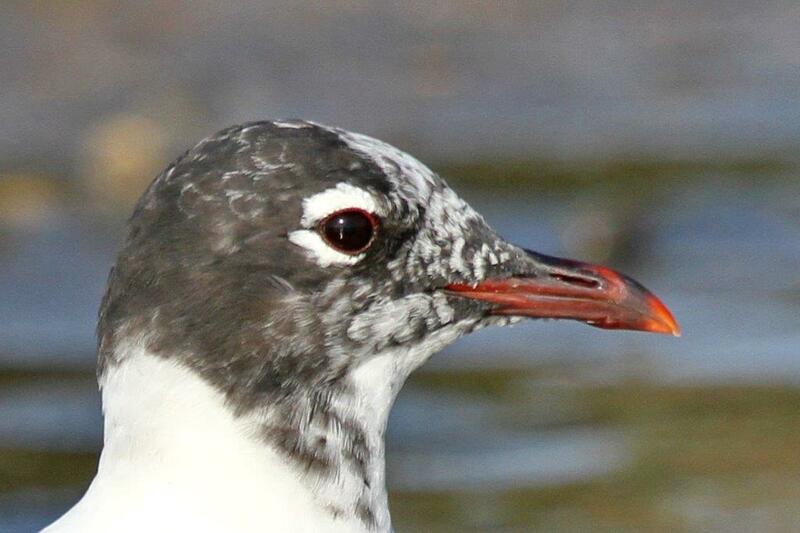 Members of BirdLife Port Natal are advised that the 70th Annual General Meeting of the club will be held at Palmiet Nature Reserve, Westville on Saturday 16th February 2019 at 14h00. 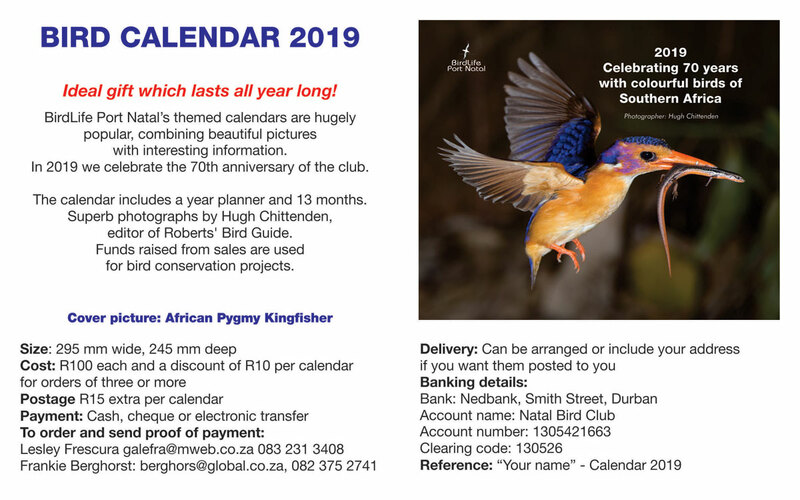 This is the club’s 70th Anniversary year making it one of the oldest bird clubs in the country so we would really ask you to support this event and club activities during this year. Download the Agenda here. After the AGM business our Honorary President David Allan will be giving a presentation “Coming up for 20 years of counting the waterbirds in Durban Bay. What have we learnt and what are the key threats?”. This will be followed by a braai – the club will provide the salads, rolls and fires but please bring your own meat or mains and your own drinks. It you will be attending please RSVP to Lesley Frescura galefra@mweb.co.za/Nicky Forbes nicolette@mer.co.za for catering purposes. If you are unable to attend please complete a Proxy form and send back to us. Please also consider joining the committee. We would welcome new faces and ideas to take the club through the next decade. We meet each month, mainly via Skype with one or two face to face meetings per year. If you know someone who would like to join the committee please nominate them using the Nomination form. This entry was posted in Activities, Home, Our Club. Bookmark the permalink.